Let’s be honest: We would all be lying if we said we’ve never gone to bed hungry before, right? All that’s about to change with this new item that will do the trick to satisfy your late night cravings. Well, sort of. 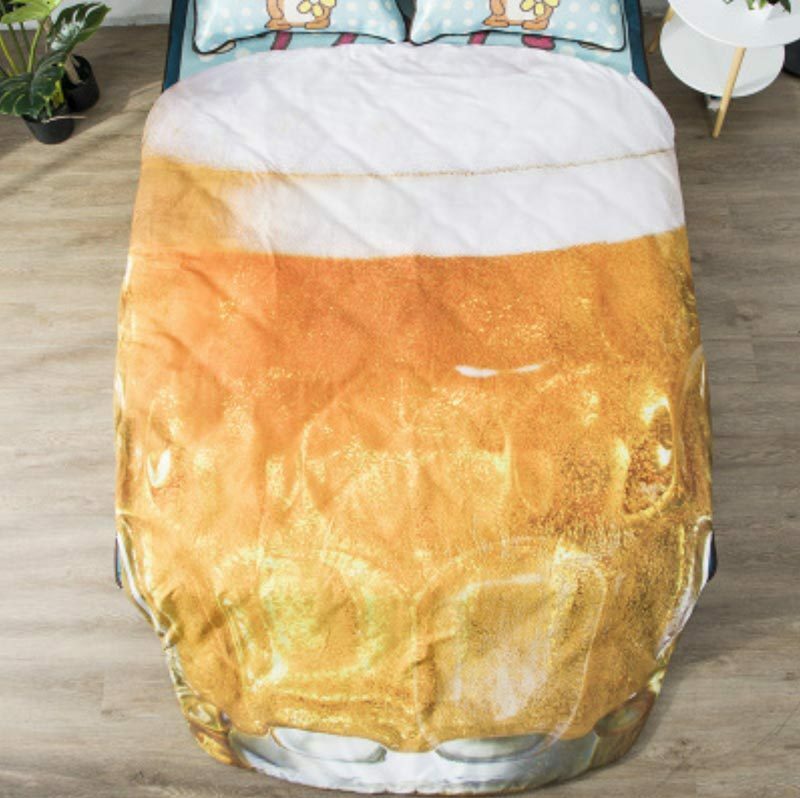 A Taobao vendor has put up quirky Food-Inspired Blankets such as Salmon Sashimi, Potato Spuds, Chicken Rotisserie and Beer Pints. 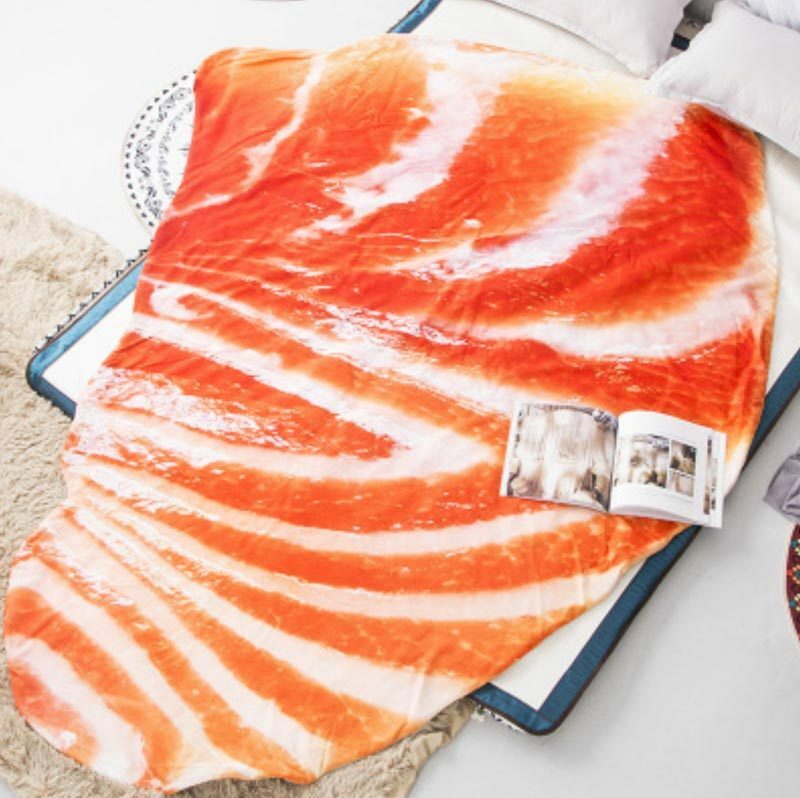 Priced between CNY79 – CNY149 which works out to be around S$15 – S$35, these bizarre blankets could either be seen as a laudable investment or a waste of money. 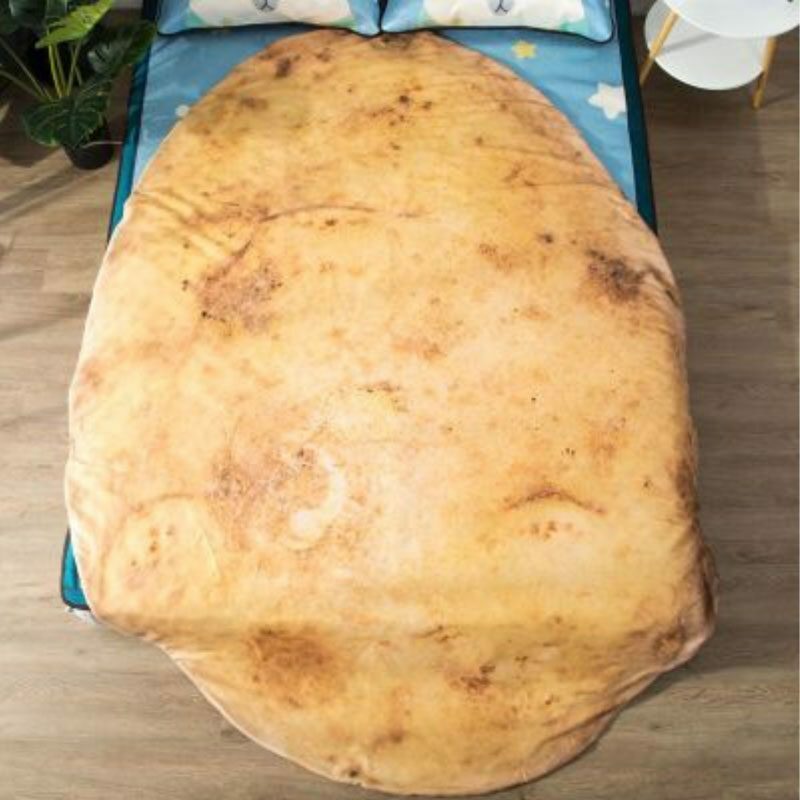 Strategically speaking, these realistic food blankets will spice up any dull room in a heartbeat but the sheer sight of it may just not lie in tangent with the room’s theme or arrangement. Plus, at such a price point, I would much rather spend it on something edible. This could be a hit or miss for gluttons like myself because it could either curb those late night cravings or make us even hungrier! Yet, I find this to be an excellent gift for friends because it’s affordable and unquestionably one-of-a-kind. Know a friend who likes beer or perhaps salmon or steak? This will sort those woes out. 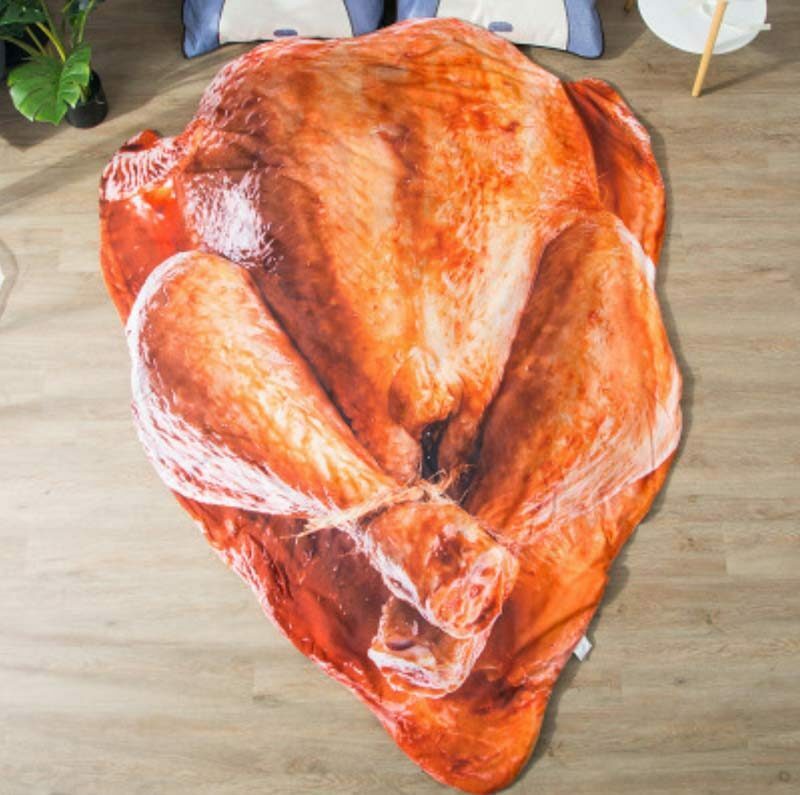 While I’m not too sure if I’m for these wacky food blankets, I must say it definitely amuses. We can always count on the wonders of online shopping to entertain us with whimsical products. Yay technology.